High speed of vehicle in the city correlates with higher number and severity of injuries. Lack of situation awareness between pedestrians and vehicles put pedestrians at greater risk for accidents. Data and signals alone don't immediately translate into quick directions as simple as the traffic light. We classify our users into groups of pedestrians and drivers based on their speed from the GPS data. The functionality of the app depends on the user's commute mode. If the user is a driver, then the app is a iBeacon. If the user is a pedestrian, the app will be a iBeacon radar. With this design, we could have our users engage in wireless device-to-device communication with minimum data transfers. Only simple beacon identification data is needed for the communication. We also classify the vehicles into normal speed (10 mph) to fast speed (30 mph) so we could alert the user when a fast vehicle shows up on the radar. This would help pedestrians to be more situation aware of fast moving vehicles nearby. We implement a Phonegap-powered cross-platform iBeacon interface instead of using native Bluetooth LE for better cross-platform support. 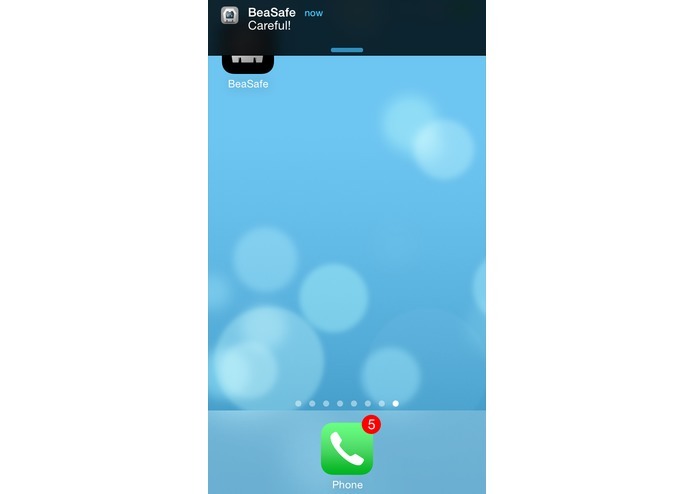 On top of that, BeaSafe app has geo-fencing and background monitoring support. iBeacon is a technology powered by Bluetooth LE, which has about a range of 50 to 100 meters. It is available on most latest mobile devices and its long range makes it ideal for real-time wireless device-to-device communication between vehicles and pedestrians. Unlike Bluetooth, it doesn't require a handshake. 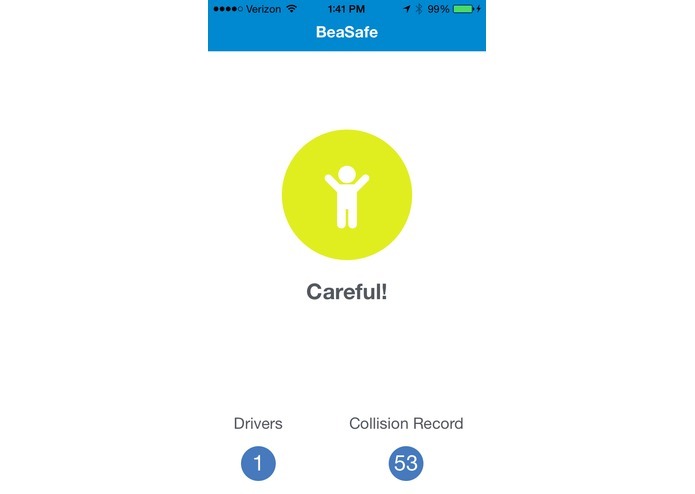 A pedestrian's iBeacon radar will be notified when a vehicle iBeacon crosses into the nearby region. 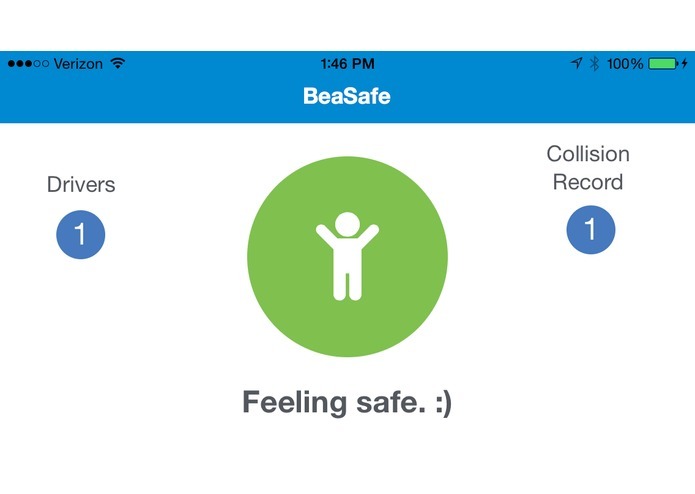 This enables BeaSafe to notify pedestrians in real-time about their surrounding neighborhood and raise their awareness about the nearby vehicles. The report has shown that pedestrian awareness is key in preventing accidents. 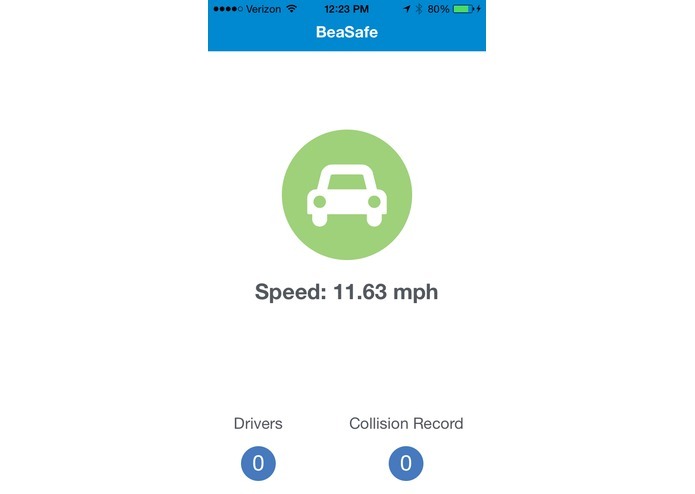 The app's simple design is to translate any sources of complex data, motor collision data, traffic data, into clear and color-coded direction as simple as Red, Yellow and Green. To the user, Red means High Alert, Yellow means Careful, and Green means Safe. We determine the alert state based on a number of factors including the number of collision records and whether a fast moving car came within the range of our iBeacon radar. The simplicity would help reduce information overflow and help pedestrians to make more informed judgements on the road quickly. We also have support to run the app in background mode so that the user can get timely alerts without even looking at the app. We have experimental support for voice notification. Due to limited time, it is not tested to work 100% of time. But the idea is to have simple interface and TTS to help minimize cognitive distractions. We geo-indexed the NYPD vehicle collision data so that it can be easily queried by a radius around any given GPS location in NYC. This allows us to inform our users about how dangerous their surrounding may be based on the intersection's Collision record. We aggregate the number of injuries, deaths and number of collisions to help decide whether the pedestrian needs to be more careful and alert them accordingly.